On a rainy Saturday morning we went to Seoul for a wedding. Sounds like nothing special, we all’ve been to weddings, mostly posh events where you need to dress up and get a hair piece(preferably made to order), then all your will guests talk about all what ‘’could have been better organized’’…..yeap, that’s how it is in our world. I have to admit I do not like weddings so much, that I have went to a small island in the middle of the Indian Ocean with my husband to be, no wedding guests, no hassle just me and him. Now we leave happily ever after, and I will recommend this way of getting married to anyone who is not too fond of what we call an American style of wedding. Most Koreans these days organize western style of weddings held in hotels or restaurants, when bride wears white, western dress, flower bouquet and a vale or a small head piece, just like us would do, back home.When my friend Im Lee Rang got engaged with the rising star of the Korean drama, she knew her wedding will look nothing like this. 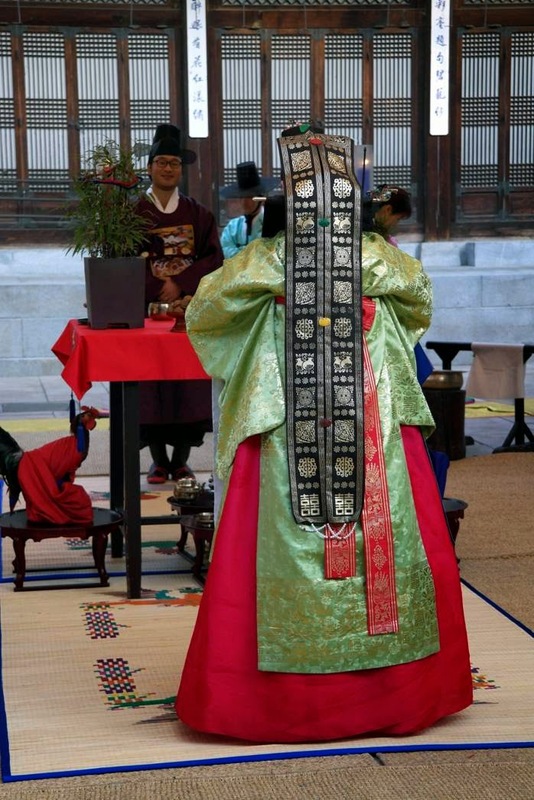 Since she was a little girl she dreamed of a traditional style wedding, Honrye, a centuries old tradition dating back to Joseon Dynasty, which hardly changed throughout the time. 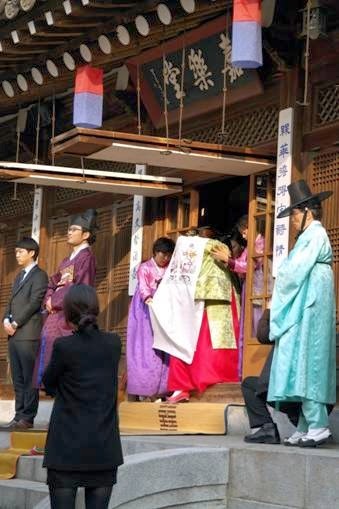 One, major difference is that back in the days Honrye would be held in bride’s house, while now, they are organized in places like Korean House in Seoul or Namsangol Hanok Village. This event is teeming with old customs, bright colours and traditional music. Once we arrived in Korean House we have registered, wrote a few words in wedding book, left some cash as a gift ( It is a custom in Korea to give money as a wedding gift, may sound impersonal, but it’s convenient for both parties. After all how many of your wedding gifts ended up in your basement.....). We also received a token for an after wedding meal. 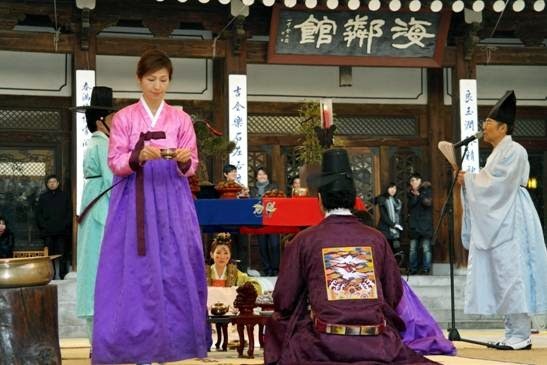 Bride and groom wear Hanbok (traditional Korean clothing) during the wedding ceremony. 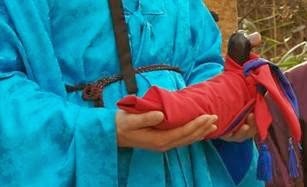 Present Hanbok’s are modernized to fit 21st century customer, but for the purpose of the Honrye they haven’t changed, those dresses are still made of many layers of the vibrant colours material. 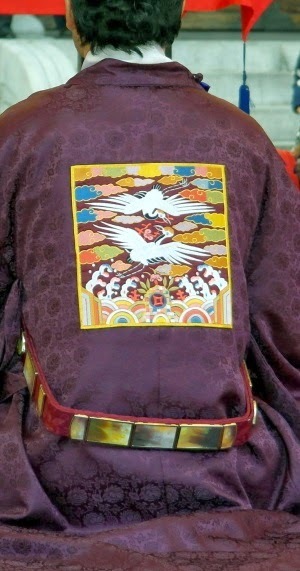 Hanboks also carry hidden symbols like the crane on groom’s Hanbok which represents good fortune and longevity. The ceremony started (opening ceremony is called Pungmul nori ) with a music performance called Samulnori, Korean percussive art genre originating from Nong'ak (farmers' band music). 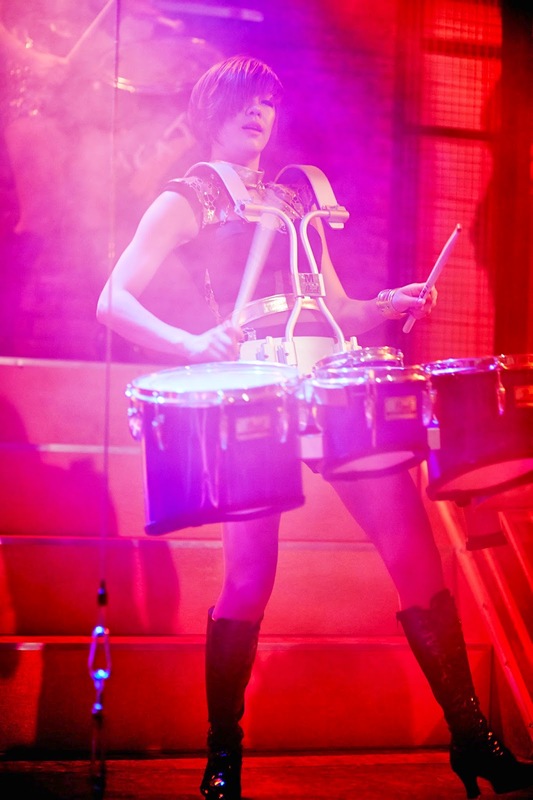 Four instruments are used to: janggo (hour-glass drum), buk (barrel drum), jing (big gong) and kkwĕnggwari (small gong). 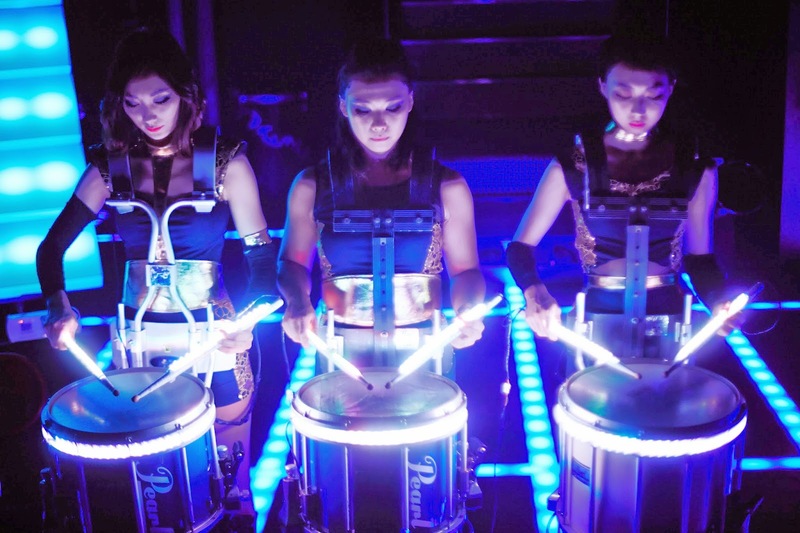 Drums and gongs created very vibrant sounds designed to put everybody in a festive mood. Once the performance was over it was time for the Groom’s parade. Our groom, assisted by his best man who carried a wooden goose (goose is a symbol of the marriage stability as geese mate for life) came down the hill to reach ‘’bride’s house’’ (Traditionally the groom travelled to bride’s village for the wedding). 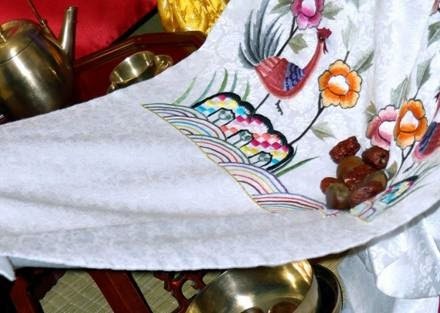 Once the geese was offered to bride’s mother, and she accepted it Lee Rang left the house with future mother-in-law and other women and proceeded to the wedding table for the main ceremony. Bride has her face covered and she will not show it until entering the ceremony place (in the old days it was usually the first time that the bride and groom saw each other). Once both of the almost wed arrived at the ceremonial place they sat on two sides of the table (groom to the east of the table, bride to the west side). 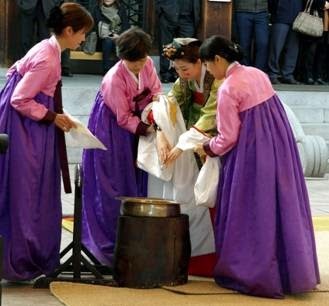 Both of them have had their hands washed, what symbolizes cleaning the body and soul for the ceremony. Bowing follows after that. The bride bows twice to the groom first then groom bows back once to the bride. They do it twice in that order. Bowing represents the promise of commitment to each other. The marriage is announced to the heaven just after drinking ceremony. Bride and groom drink half of the amount from the cup and then cups are exchanged to drink it all. Drinking the same liquor from each other cups represents the harmony between couple. When the official part of the ceremony is over it’s time for the Pae Baek when bride and groom pay respect to their parents. It is a close family event only, but we were lucky enough to be a part of it. Your very own Korean Wedding. Some of you might prefer to get married away from home with very short guest list. You may choose between such popular destinations as Seychelles, Mauritius, or Gibraltar if you are planning to stay in Europe, but you may also organize it here, in Seoul. 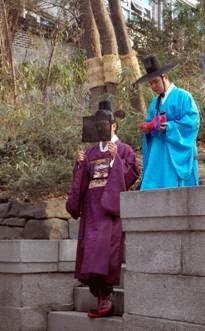 Wear a Hanbok instead of a white dress and experience colourful traditions. 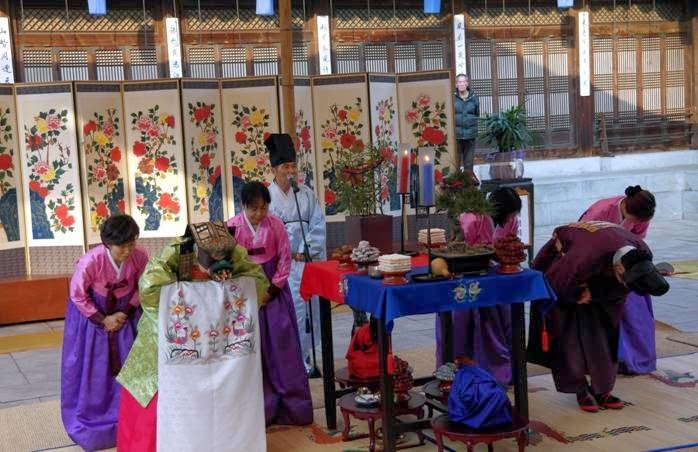 Average Korean Wedding costs $ 100.000, but bearing in mind we would have only a few guests, the cost would be significantly lower. Basic Wedding experience which covers the following: the food display in Wedding Hall, wedding equipment, all outfits (bride, groom, wedding officials, best man), etc. 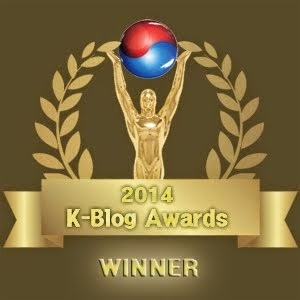 costs around 1.200.000 won, which is about $ 1130. 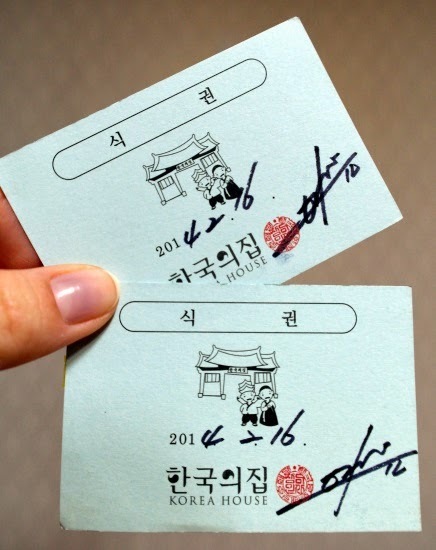 Banquet costs between 40.00 – 60.000 won per person ($37-$57). 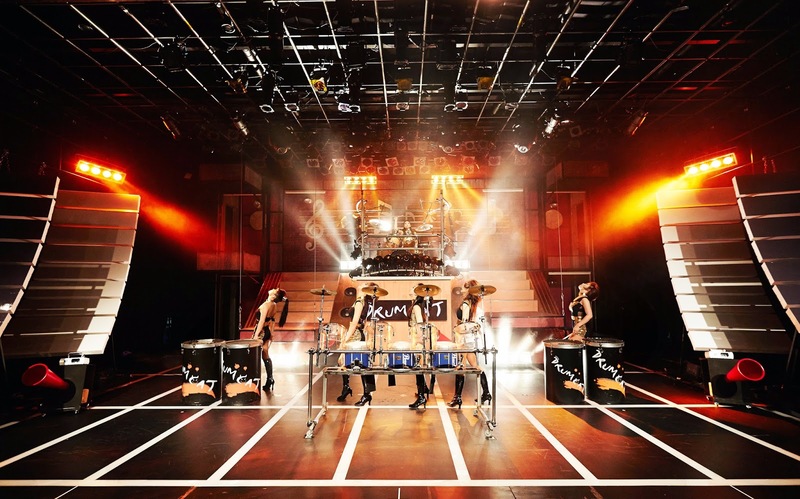 You may also like entertainment before the show (just as our friends did) that’s additional 400.000-500.000 won ($375-$475). So, let’s say you have 20 guests. Your overall cost would be somewhere around $2600. Not bad!! Bear in mind that you may cut the cost further if you avoid spring and autumn peeks of wedding seasons and get married outside of that period. Getting married in July/August is one of the options. It is extremely hot and humid, but if you don’t mind that the bargains are worth considering. Most of the places will give not only discounts but also a complementary service like ice sculptures to decorate the room (and I’m talking about hotel brands owned by Hilton or Marriot so you may be sure of a decent service). Other option is to go for winter wedding in January/February. This gives you unforgettable opportunity for beautiful snowy scenery! In addition you may book a cheaper honeymoon (e.g. on Jeju) and avoid the entire nation of vacationers and long queues for tourist attractions.